The DeVry University was accused in San Antonio federal court, after alleging it committed fraud such as misrepresentation of false statements about employment rates and income of their graduates. In 2016, the Federal Trade Commission charged the DeVry University for violated federal law because of false advertising statements. DeVry and Adtalem Global Education Inc. agreed to a $100 million settlement with FTC and accepted the program of DeVry Student Loan Forgiveness to refund the student loans. The DeVry student loan forgiveness program contains $49.4 million in cash and $50.6 million in debt relief. The FTC reported that it mailed refund checks various amounts to 173000 students by depending on different factors such as on full-time and part-time attendance. The average value of these checks is about $283. It is the statement from the marketing campaign of DeVry University. Quite ambitious and showing successful results. Very attractive to students. However, lies may go ahead, but can never go back. Devry University is a for-profit college in the US. It was founded in 1931 by Herman A. DeVry and officially became DeVry University in 2002. The University has been involved in many lawsuits, investigations, and settlements in different years. At the beginning of the 2010s, thirty-two former students of DeVry University have filed a lawsuit against the school and parent company Adtalem Global Education Inc. by claiming that degree advantages were falsely promoted. The students claimed that they have enrolled because of the misrepresentation of marketing news about employment and income rate of graduates. The federal court order demands DeVry to inform the students who will receive debt relief and to notify the credit bureaus and collection agencies of the debt forgiveness. It is an excellent opportunity that DeVry borrowers will see their loans forgiven in this wave of forgiveness. Department of Education began to inform borrowers about their discharge approvals by stating that the forgiven debt would be abolished within 30 to 90 days. If you have already requested a DeVry Student Loan Discharge, make sure to keep an eye on your emails carefully. Or if you have been waiting to send an application, it would be suggested that you post it today to increase your chance of being accepted during this round of approvals. In earlier 2019, the FTC’s DeVry Student Loan Forgiveness Program has already sent thousands of refund checks to former students. DeVry Student Loan Forgiveness Program offers 173000 people a total of $49 million in student loan forgiveness benefit. However, this amount is nothing in comparison to what you get by the Borrower’s Defense to Repayment Program. The students who attended the DeVry University between 2008 and 2015 could take the benefit of these funds with receiving money and being qualified for the student loan debt relief (DeVry student loan forgiveness for student loan debt). Before getting into details, it is worth notifying that student loans are very complicated legal processes, and most people tend to avoid to deal with them. But, you need to know that they were made so complicated on purpose to make you give up on getting out of the debt.  If you have difficulties to handle your DeVry loans, the first suggestion is to contact the Student Loan Relief Helpline. Maybe, they will charge a few hundred dollars for their services, but in return, you could save thousands of dollars on your loans. As it was mentioned earlier, the DeVry student loan forgiveness is technically divided into two completely different directions such as The FTC’s settlement with DeVry, which provides partial and automatic checks in value about $280 on average per borrower. Borrower’s Defense to Repayment Discharges – this program requires a lot of legislative work and truckload of document procedures but provides complete student loan forgiveness. Besides, potential student loan refunds could be granted for any money already paid to DeVry. If you cannot find available information about the procedural guidance on this program, we will try to show the outline to receive benefit. Via Borrower’s Defense program, you may demand a complete and total discharge for any amount you owe to a school, plus refund for any funds which you have already paid them. Of course, you need to prove that you only borrowed money with the purpose of attending this school as a result of having been lied to, defrauded, tricked or illegally scammed. It is not too difficult to file a successful Borrower’s Defense claim against the school, as long as you are aware of how the program works. Because DeVry University has admitted to all sorts of illegal activity such as running misleading ads on TV or internet which carries false information about job placement rate and high earning levels of their degree holders. However, you need to keep in your mind that, thousands of former DeVry students have already applied to Borrower’s Defense claim; thus approvement of your submitted report could take a bit long – over one year time period. So it is better to send your application for the DeVry student loan forgiveness program as soon as possible. Now when you have enough understanding on how Borrower’s Defense is powerful and how come it is important to submit an application immediately, let us have a look at what you need to do to send a request for your Borrower’ Defense application. Let us say, you made a decision about to file a Borrower’s Defense Claim to the benefit of DeVry Student Loan Forgiveness. There is one thing which is very important to keep in mind that it is a legally binding process; thus you should tell the truth. Every lie statement you made could lead to very harsh consequences. Firstly, you should make sure that you cover all the requirements o apply for the DeVry student loan forgiveness program. Please do not exaggerate or outright lie about your own experience with DeVry. Because in case many people make that mistake, the DeVry student loan forgiveness program will be removed surely. Besides this, it is worth notifying that when you file the claim against DeVry, you will need to prosecute them for committing some form of unlawful behavior. You should clearly state that this illegal activity was a real motivational reason for your choice to borrow money to pay for education programs. Finally, if you would like to benefit the DeVry student loan forgiveness program, all you need is to persuade them successfully that you only borrowed money to go to DeVry University. Because you were distracted via illegal acts such as lying to you about job placement rates or exaggerated average salary reports.